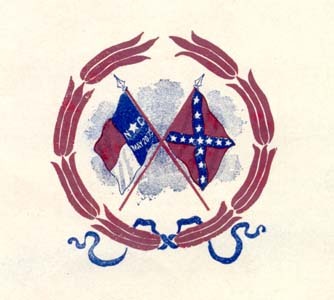 It is with great pleasure that I acknowledge receipt of your highly esteemed favor of the 11th, enclosing account of "The Last Railroad Flag of Truce During the War." It is very interesting indeed and I thank you very cordially for giving me the great pleasure of reading it. By all means have it printed so that the story may live, and the oncoming generations may have the opportunity of reading it. The story is interesting and historical and needs to live. I shall be glad to have half a dozen copies of it when you have had it printed. I remember you very kindly and am so glad to hear from you again. You and I were boys when these occurrences took place, but they left their impression, and very rightly so, and amid it all we have nothing to be ashamed of. May God bless you and spare you and keep you many years for your friends to respect and love, one of whom I count myself. You and I and a few others are all that is left of the "old guard," and let us love each other unto death. I have read your "Flag of Truce" incident with much interest. It is well written and I have reason to know from other sources that it is accurate. It is an historical incident that ought to be preserved in some permanent form for the future historian of those stirring times. 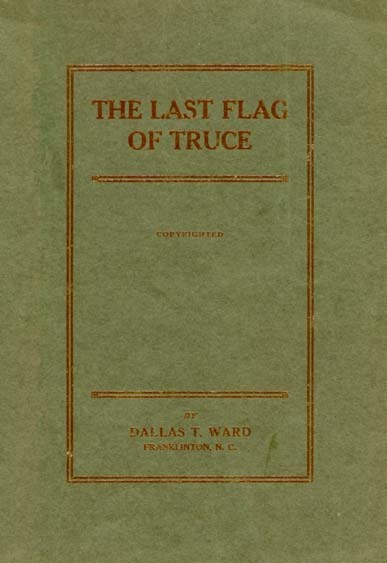 In response to frequent requests this pamphlet, containing a narration of the Flag of Truce sent by Governor Z. B. Vance to General W. T. Sherman the day before he reached Raleigh, N. C., is published. When the war commenced between the States I was a mere boy, fifteen years old. For over two years I ran as a newsboy on the old Raleigh and Gaston Railroad, now a part of the Seaboard Air Line from Raleigh to Weldon. During these years I worked hard and faithfully, and in a year or so was given the position of conductor on the same line, and the historical event I wish to narrate here occurred while I was filling this position. 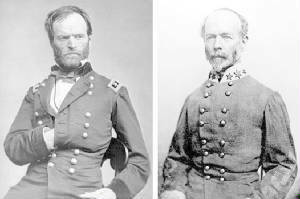 When I was nineteen years old I was ordered to take my train, consisting of seven cars loaded with railroad supplies, and go ahead of General Joseph E. Johnston's army to Greensboro, N. C., in order to keep away from the enemy, General Sherman, who was so rapidly advancing towards Raleigh, N. C.
the city (now the Southern freight depot), and wait for further instructions. Everything seemed secretive, and the railroad people could find out nothing. When later I was asked to secure a white flag I understood it was a flag of truce I was to conduct. It will probably add a more personal and human touch if I tell you the difficulty I had in procuring one. White cloth was exceedingly scarce, so we sent to house after house in vain, but at last found a piece about one yard square. The next problem was to find a staff, and for this purpose a long-handled spear was excavated from a nearby warehouse. After attaching the cloth and thinking our labors ended along this line, we saw it would never do to ride into the enemy's lines with the glittering spear shining. We had the train hand take the flag down and cut off the end. By this time the party arrived, consisting of Ex-Governor W. A. Graham; Governor David L. Swain; Dr. Edward Warren, Surgeon General of the State; Colonel Jas. G. Burr, of Wilmington, N. C.; and Major John Devereux, of Raleigh. They had been appointed by Governor Z. B. Vance and his advisers to go under flag of truce to find General Sherman and surrender the City of Raleigh, so as to prevent, if possible the destruction that befell the City of Columbia, S.C., where fourteen hundred buildings were burned. soldiers might not understand our mission and send a stray bullet through our coach. Our trip was unmolested until General Wade Hampton, who was covering the retreat, motioned to us to stop. We left the coach and walked out to meet him, with his staff about him, with Governor Graham, in his gentle, dignified manner, as spokesman. After a short conference with General Hampton, and having gained his consent, we proceeded towards Sherman's quarters. You who think this an enviable trip will probably change when I tell you of the roaring cannons and firing of infantry just ahead of us. We went slowly on, however, until we saw a fine charger dashing towards us through an open field, with a soldier waving his saber frantically at us. We halted, and he breathlessly told us General Hampton had ordered us to stop on account of the hazardousness of the journey. No sooner said than done. We immediately ordered the engineer to move quickly back. 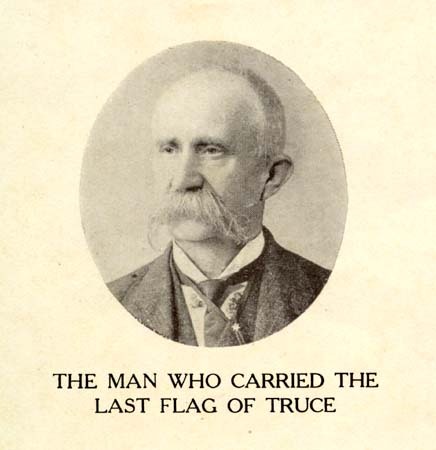 Upon reaching Hampton again, he told Governor Graham that he had received a courier message from General Johnston stating it would not be safe for the flag of truce to continue, and, in the meantime General Kilpatrick had gotten in his rear. We were in quite a dilemma. So I called my old friend, Major Devereux, aside and suggested that we try to get back to Raleigh. I felt sure that Kilpatrick knew there was no rolling stock on this end of the line between Goldsboro and Raleigh, and that he would not probably tear up the track. We were badly frightened, you may be sure. However, the final verdict was to try to get back to Raleigh and not fall into the hands of Kilpatrick's men. In all of this excitement General Hampton showed remarkable composure. We proceeded slowly and Dr. Warren stood on the platform next to the engine tender with me while I held firmly to the bell cord, so at the first glimpse of soldiers I might signal the train to stop. We did not go many miles either before I spied two or three cavalrymen on the railroad bank a short distance ahead. My exclamation was, "Doc, yonder are the Yankees." We went into the coach to report the fact, and you can know our hearts were in our throats as we moved slowly into a railroad cut. They piled down upon us like wild Indians, and had not officers appeared, would have in all probability, taken our lives. They ordered the official party out, and it was a heart rending sight to see the stately old gentleman climbing up the bank to be led away to Kilpatrick's headquarters in the saddle some distance in the woods. throttle lever off, put the fire out in the engine, and placed a strong guard over us. To add to the appalling situation, I could see up on the banks wounded men and blood flowing from the horses, and hear the constant firing of guns in the near distance. Naturally I was becoming alarmed about the official party, but officers soon came and told me they were safe and also told me General Kilpatrick wished to see me. I summoned my courage and obediently followed them a half mile or so into the woods. There I found the General sitting upon his horse with his staff near him. The following are some of his questions to me: "Are you the conductor in charge of the flag of truce? When did you leave Raleigh? Who is in the party? Do you think Johnston will make a stand to fight us in Raleigh? How many men do you suppose he has?" etc. I answered as courteously and briefly as I could, for I wasn't altogether comfortable to hear bullets whizzing through the pines, but, like an eel being skinned, I was getting used to the situation and was more composed. Kilpatrick, on the other hand, seemed angry and greatly excited and cursed at his men to go do this and that. After having obtained the desired information he permitted me to be carried back to my coach and ordered the soldiers to fire my engine for me. Estes, of Kilpatrick's staff, was then instructed to conduct us to General Sherman's camp. With thirty or forty soldiers in and on top of the coach we resumed our sad mission. I reported to Major Devereux the treatment I had received at the hands of the enemy during their absence. General Estes promised to regain my watch, etc., but this he never did. From this time on it seemed as if the whole of Sherman's army was lined up on either side of the track, and as it was growing late the camp fires were a picturesque scene. Upon reaching Sherman's headquarters at Clayton, N. C., we were escorted to the General's tent. He met us cordially, and after Governor Graham made known our mission and read the papers signed by Governor Vance, General Sherman assured us that the flag of truce would be respected. Then followed the never-to-be-forgotten supper, after the day so full of excitement. After the meal an animated conversation ensued between Governor Swain, Governor Graham and General Sherman. Governor Swain, who was in his declining years, was somewhat deaf. However, his rejoinders were always witty and caused some merriment. in his opinion worth more than passing notice. No one could surpass him on a retreat, as it was often said that even a camp kettle could scarcely be found behind him. Upon leaving the following morning, General Sherman escorted us to our train, shook hands with each one of us and wished us a safe trip back to Raleigh. He said he would be there in a few hours. We continued our journey home peaceably until we reached Garner, at that time a wood and water station five miles from Raleigh. There we saw General Kilpatrick and his staff. They were all clothed in bright new uniforms and on fine fat horses, a new flag waving above their heads. He rode up near our coach and Governor Graham raised his window in recognition of his approach. This was what the former said: "You can go on to Raleigh, as this flag of truce has been recognized and the City of Raleigh surrendered. If you show any resistance, however, we will give you hell. Now you had better put up your white flag, too, or your own men may make a mistake and fire upon you. As soon as you leave me you are in General Hampton's lines." Again we had difficulty in fashioning a flag, for ours had been taken on the day before. Our cloth remained, but we had no staff. At last we found an old persimmon tree, from which we cut a very crooked branch. This wasn't substantial enough, so we sent Bob, a faithful old colored hand, up on top of the coach to hold it. He was frightened but held to the flag just the same. At last the perilous journey was ended and we reached Raleigh as Kilpatrick's men were also reaching there. On that day I saw General Sherman review his troops from the same place that on the day before I saw General Johnston review his. The contrast was a great one, for Sherman's men were clad in new uniforms. Many other cruel and exciting instances might be cited, but my story is long enough. To my readers I wish to say in closing, this is simply but truthfully told. Many years have elapsed since that time, and I am now past sixty-eight years old. However, a hundred more years would not efface the memeory of that most eventful day of my youth. Additional copies of this booklet can be had at 25c. © This work is the property of the University of North Carolina at Chapel Hill. It may be used freely by individuals for research, teaching and personal use as long as this statement of availability is included in the text. Map and photo courtesy National Park Service. Edited by Matthew Parker, Used by Permission.